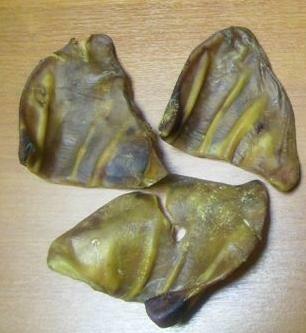 Nice clean Quality large Pigs ears No hairs, Dogs Really Love These - Ideal For large Pets. Why not Buy Now & treat Your Loved ones some Lovely quality extra large pigs ears clean with no hairs, dogs really go mad for these. Ideal large pigs ears for the larger pets.